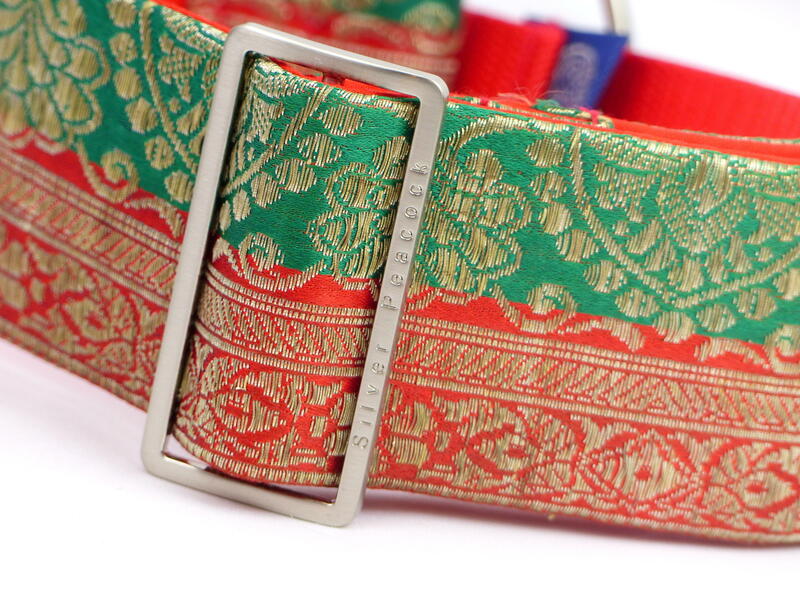 We are so lucky to be able to obtain some really special saris, the fabric for this collar is a work of art! 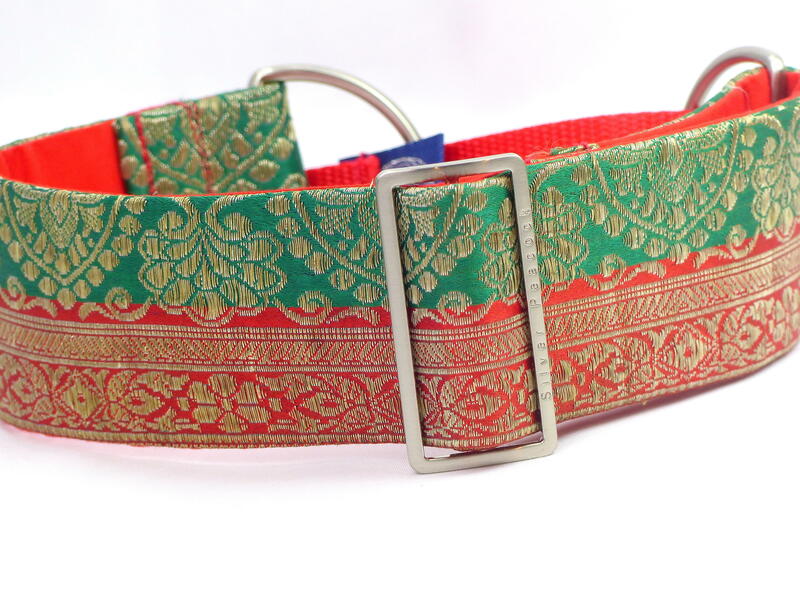 Made from bi-coloured fabric, emerald green on one side and orange-red on the other, this is combined with a varying coloured metallic thread. 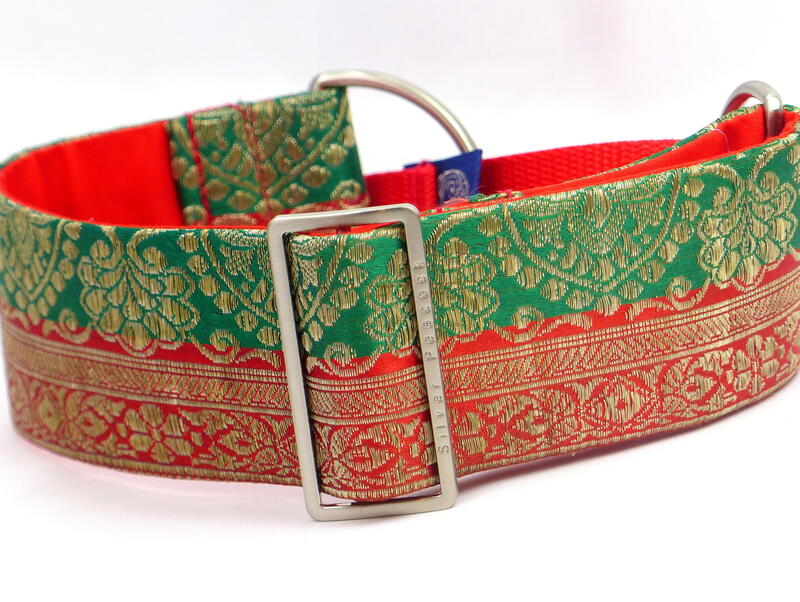 The design is typical of that found on traditional and antique bridal saris. 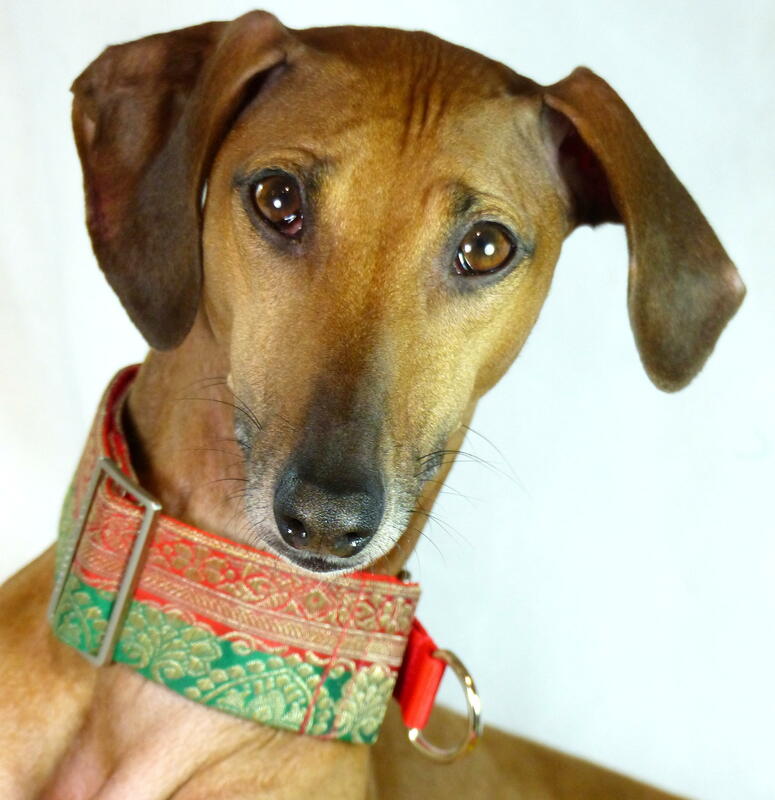 The collar is lined in red fabric and is finished with robust silver coloured hardware and the martingale has a red webbing section.